Most kids are at least a little picky when it comes to food. Here are some tips to help open kids up to a variety of healthy foods. To begin with, we have always had a rule in our house that you must try at least one bite. Then if the kids don’t like it, we can talk about it but they have to always at least try it. 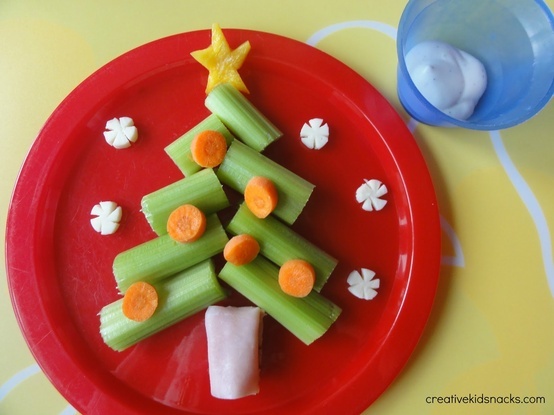 This encourages kids to be open to new foods right from the start. Inventive snacks like, ants on a log, that capture their interest are likely to be eaten. You can use cookie cutters to make sandwiches and fruit into fun shapes. Another important point, is that modeling eating the desired foods is important. If you make a snack and start eating it, they will be sure to ask what it is and if they can have some! When introducing new or healthy food snacks, you may want to slip a tray onto the coffee table while they are watching a cartoon. Kids seem to eat without thinking when watching TV and you might get some healthy fruits and veggies into them before they even think to ask about them. The sure stand by is taking recipes they like and tweeking them to include some healthy component that they won’t notice you have introduced. For example, slip some zucchinis into your pasta sauce. You can mix all kinds of fresh fruits and veggies into smoothies. Yogurt loaded with fruit and a bit of hot fudge sauce or whip cream is sure to go down. If your kids like chicken nuggets, try baked chicken nuggets and/or baked fish strips. Another great trick for dealing with kids who are picky eaters is to get them to help you grow food and/or prepare meals. They are more likely to eat it if they get to pick it and if they have put effort into the food preparation. Help them make their own trail healthy trail mixes. Help them bake their own healthy muffins. Even making their own healthier cookies is a step in the right direction. What tactics do you use to deal with your picky eater?